Knee braces for running are made to be worn by anyone when you want to prevent an injury when playing sports or when you hurt your knees and need support. There are different kinds, features, and sizes of knee braces such as with metal hinges, some are only straps, some come with holes and some none. Knee braces can also be used not just by runners but when biking, playing basketball and many other sports. With so many knee braces to choose from, it can all be a bit overwhelming. To help you pick the best knee brace for running, you first need to know its purpose and when can you use it. 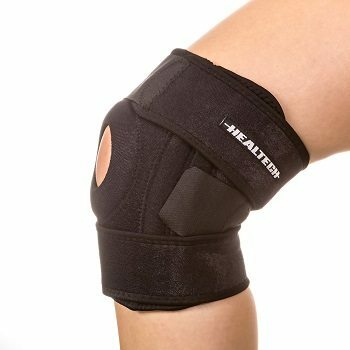 Knee braces are not made to cure knee injuries, it only provide stability and support, especially to injured muscles and joints with torn knee cartilage, anterior cruciate ligament rupture, sprained medial knee ligament, patella tendonitis, posterior cruciate ligament rupture, and even knee arthritis. The most commonly used knee braces are the sleeves with a hole in it and those that do not. The brace that doesn’t have any hole is normally used to provide compression that optimizes awareness, blood flow and aid in swelling around the knees. 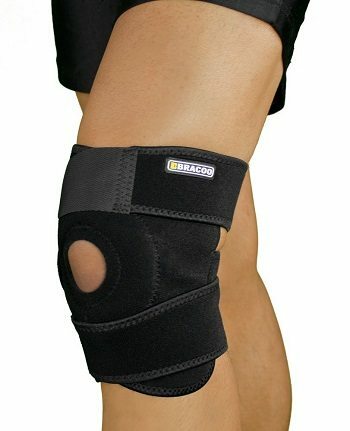 The other brace is generally used for support in knee injuries. This knee brace is optimized not just for running but also for basketball and jumpers. It is fully adjustable to fit any knee size and comes with 2 buckles at the front, 2 Velcro tabs at the back and shock absorbed round inner tube. It acts as your buffer, particularly on the point of tendon insertion on the tibia, and aid when you experience pain from any patella tendon inflammation or irritation. Its primary use is normalizing your patella tracking and minimize any unnecessary movement on the injured knee cap. It is available in blue, black and pink color. A knee brace that not only improves your performance but also an aid to help you recover from your knee injury. It's quite similar to Sminiker Strap Band actually; the only difference is this one provides superior coverage and comes with a 30-day money back guarantee. It is slim, discreet, and with straps to adjust the brace to your knees size. It's an ideal knee support for daily wear and athletics. 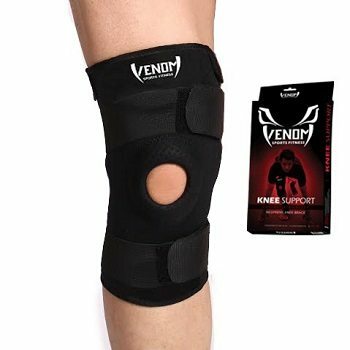 Highly elastic and constructed with integrated non-slip fabric are just a few of the great features of Venom Knee Brace. It's supportive design gives you maximum comfort without compromising flexibility, which is very important for runners and athletes. It comes with a curved design, customizable fit, and excellent compression to decrease pressure on the knees and minimize any injury possibilities. And did we mention that it is sweat resistant so it doesn’t irritate your skin, which can be a distracting when in the middle of the game. 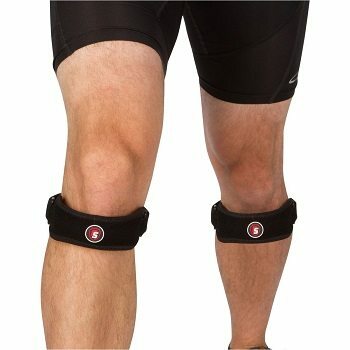 Knee braces of Patella Strap reduce any tension and stress, which is very useful when your knee is injured or overused. Constructed with Neoprene, Nylon, support pads, and Velcro for superior comfort and long term use. And since it is fully adjustable, it comes in one size for both men and women. You can also use it when biking, hiking, or any activity that requires extra knee support. Bracoo is known to provide innovative technology and premium materials to create the best performance enhancer, and their Knee Support did not disappoint us. It comes in an open patella design support wrap to minimize knee stress and keep your knee cap always in the right motion. It also comes with 3 adjustable straps so you can find the perfect fit for your knees and thicker Neoprene layers for maximum protection. Just note that this knee brace must never be dry cleaned. Always hand wash in cold water, using a mild detergent. Hang to dry and never iron. 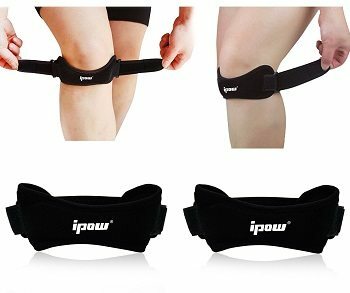 The Ipow Patella Brace is especially useful when experiencing pain related to patella tendon inflammation or irritation. It's like a buffer from the tendon insertion on the tibia, corrects the patella tracking, and minimizes extra movements to prevent further injury. Its adjustable straps and double knot design for a perfect fit and compression. You can also use it not just for running but also when playing basketball. 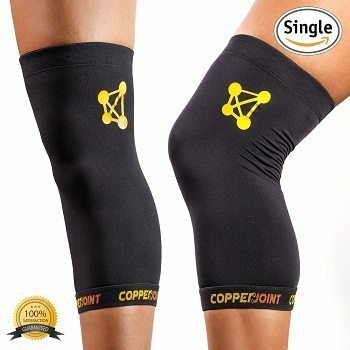 CopperJoint’s Knee Brace provides the ultimate comfort and aid in any joint or muscle injury. It is lightweight, durable and minimizes the pain of aches and arthritis. But what sets this knee brace apart from the rest is its cooling effect and healing abilities, particularly if you have just undergone surgery, so you can wear it all day and all night. This knee brace is also designed to with a 4-way compression sleeve so you can move quickly and comfortably. It is also designed with an anti-slip system so you can even play sports while you’re wearing it. Aside from relieving your body from pain, it also improves blood circulation and enhances the flow of oxygen to your muscle. Made of 100% Latex free, so it eliminates odor and keeps the temperature optimal for your joints.